For leather shoes, riding boots, sportsshoes and other high-grade shoes uppers heel pre-shaping processing. the rear side, the main heel andthe lining are glued together into one body, and the shape of the back body ofthe shoe last is basically achieved. The human nature inclines the design, theoperation is simple, reduces the operation fatigue. The special pull-side automaticallycorrects the tie tight function. Pneumatic and PLC control, high degree ofautomation. 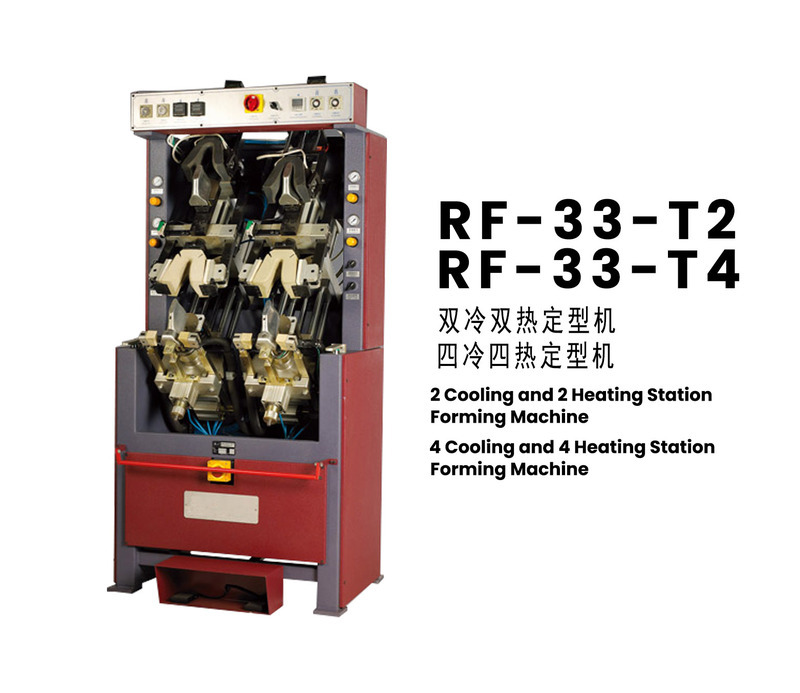 Cold and hot work station can work at thesame time, the production efficiency is far higher than other similar products.